Batman, Bane Revealed In New Empire Mag Covers. | The Cineaste's Lament. 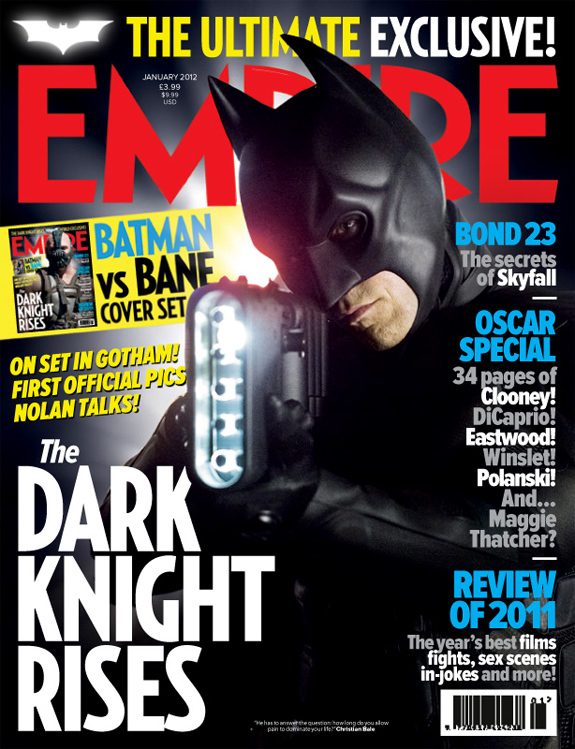 Batman, Bane Revealed In New Empire Mag Covers. A couple days late on this, but this is still pretty cool. 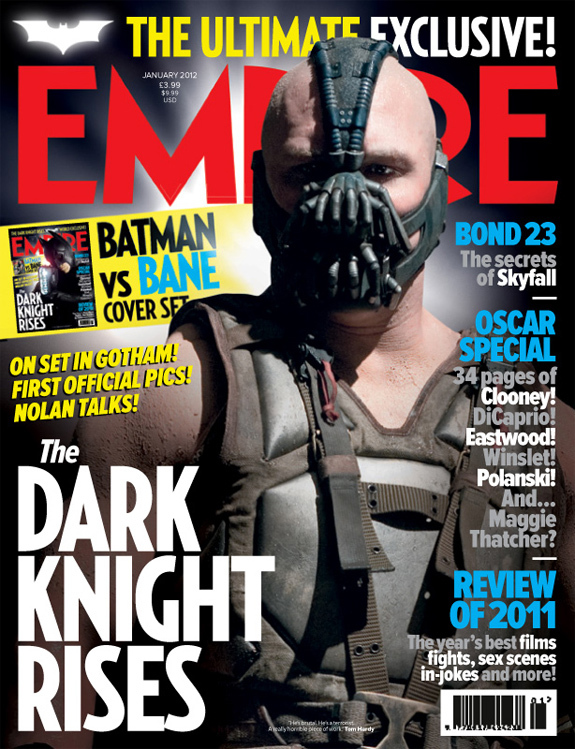 English film mag Empire has the first official photos of Tom Hardy as Bane and Christian Bale as Batman from next year’s eagerly anticipated The Dark Knight Rises. This entry was posted in action, Spoiler-itis, Summer Blockbusters, Superhero Cinema and tagged Bane, Batman, Christian Bale, Christopher Nolan, Empire magazine covers, The Dark Knight Rises, Tom Hardy. Bookmark the permalink.